German power provider E.ON and Italian electric utility Enel have traded for the first time using a new blockchain marketplace. The ‘Enerchain’ platform allows trading partners to conduct deals directly with each other in seconds, rather than requiring a central intermediary as is usually needed. 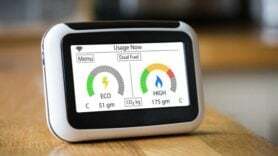 The firms claim a more decentralised approach to generating, buying and selling energy will reduce the cost of electricity procurement, of which some savings will be passed onto consumers. The peer-to-peer network has been developed by energy IT specialist Ponton and a total of 33 companies are now involved in the use and development of the marketplace. Matthew Timms, Chief Digital Officer of E.ON: “The ‘Enerchain’ initiative is a good example of open, cross-industry collaboration.